The kind of voter suppression that Georgians are fretting about during a hotly contested governor's race — widespread purging of voting rolls, 50,000 voting registration applications put on hold, and shuttered voting locations — is both disturbing and frightening. 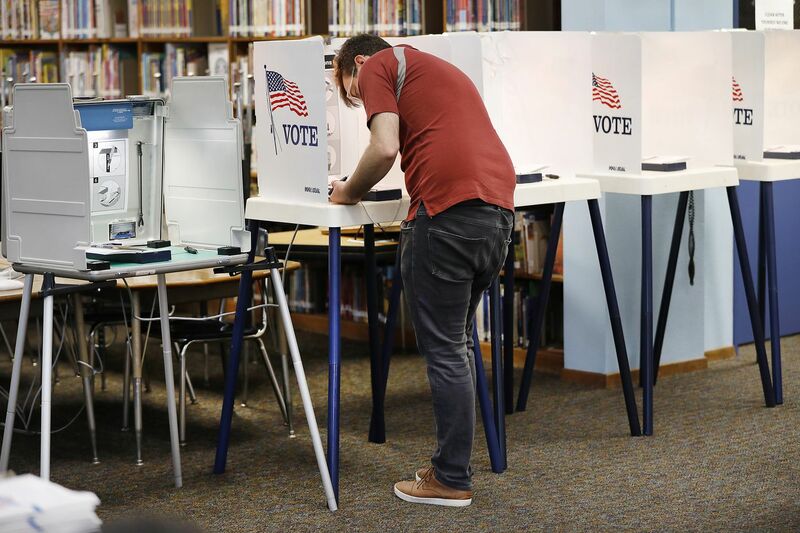 (Though on Friday, a federal court intervened and found the "exact match" rule that bogged down many applications will not be applied to the midterms.) But that's not nearly as disturbing as the kind of suppression that Philadelphia and the state of Pennsylvania experience. Every voting cycle, far too many voters here experience self-suppression: deciding that, for whatever reason, they're simply not going to vote. The city turnout track record is troubling. In the last gubernatorial election, for example, Philadelphia experienced a 37 percent turnout; in 1994, 52 percent of the city's voters turned out, according to the City Commissioners Office. Recently, in the May primary, only 17 percent in the city voted. That means that 825,000 Philadelphians didn't bother to exercise their rights. And when those rights are imperiled — through voter IDand other restrictive laws that have taken hold in recent years that dampen participation from certain groups — actually deciding not to vote is unconscionable. In 2012, Pennsylvania passed a voter ID law that would have required government ID at polling places (now required only for new voters). It was killed by a court ruling. Tuesday's midterms represent a potential turning point in the political direction of the nation and in Pennsylvania. The interest appears high; in fact, in the city, registration and absentee ballots have jumped since last election cycle, according to the City Commissioners Office. Of the 650 people responding to our survey asking whether they planned to vote, 95 percent said they were. Slightly more – 96 percent – said they voted in the last election, in 2016. The respondents skewed more heavily male, and the majority were Democrats (58.5 percent). Republicans represented 17.8 percent, and independents 15.5 percent. Those planning to vote primarily pointed to "civic duty" as a reason. Of the few who said they weren't planning to vote, reasons included "no viable candidates" "sick of politics," "too much corruption," and " the damage is done." Those attitudes are a dangerous form of self-suppression. Sure, it may be hard to expend energy or enthusiasm if you're voting on races you can't connect with, or having a hard time cutting through the campaign clutter. But it's important to get into the booth and make a choice.